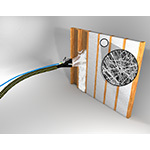 "Professional insulation installers want products that offer cost- and time-effective solutions, and our new Interlocking Fiber Technology delivers the performance enhancements and ease of installation needed for today’s increasingly demanding project requirements." DENVER--(BUSINESS WIRE)--Johns Manville (JM), a Berkshire Hathaway company and leading building products manufacturer, today announced the launch of JM Spider® Plus blow-in insulation, a re-engineered blow-in system and the latest addition to the industry’s most complete line of insulation products. JM Spider Plus replaces JM Spider® spray-in fiber glass insulation and is ideal for residential, commercial and manufactured buildings. 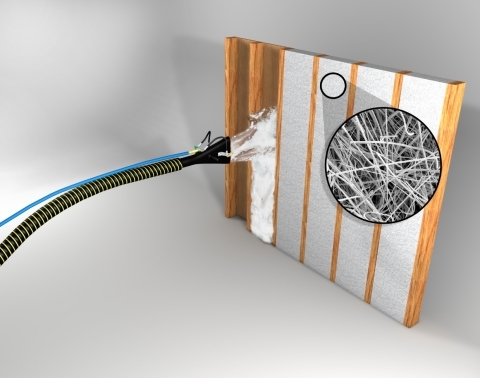 JM Spider Plus is designed for installation by professionals using a blowing wool machine and features “Interlocking Fiber Technology,” JM’s latest building science innovation. Interlocking Fiber Technology allows the insulation fibers to spring and lock into cavities with no adhesive or netting. JM Spider Plus achieves an R-value of 15 in a 2x4 cavity and an R-23 in 2x6 walls. JM Spider Plus is available to customers in North America immediately. To learn more, visit JM.com or talk to a product manager. Johns Manville, a Berkshire Hathaway company (NYSE: BRK.A, BRK.B), is a leading manufacturer and marketer of premium-quality products for building insulation, mechanical insulation, commercial roofing, and roof insulation, as well as fibers and nonwovens for commercial, industrial and residential applications. JM serves markets that include aerospace, automotive and transportation, air handling, appliance, HVAC, pipe and equipment, filtration, waterproofing, building, flooring, interiors and wind energy. In business since 1858, the Denver-based company has annual sales of approximately $2.5 billion and holds leadership positions in all of the key markets that it serves. JM employs approximately 7,000 people and operates 45 manufacturing facilities in North America, Europe and China. Additional information can be found at www.jm.com.